I love Costa all year round. But my favourite time at Costa is Christmas. Seasonal drinks!! Hot chocolates, gingerbread lattes, seasonal treats. Nom nom. I'm a sucker for the gingerbread latte. The little gingerbread man wins me over every year. I'm also very fond of the hot chocolates, but have yet to try one due to a bet between me and my friend. Whoever goes the longest without coke (bekah) or chocolate (me) wins, and the loser has to buy the other something nice. Our cut off is 21 days and if we both reach that, then we're going for a celebratory Costa. We spend too much time in Costa, it's a running joke between us at this point. The staff are probably laughing at us but at least we get points! 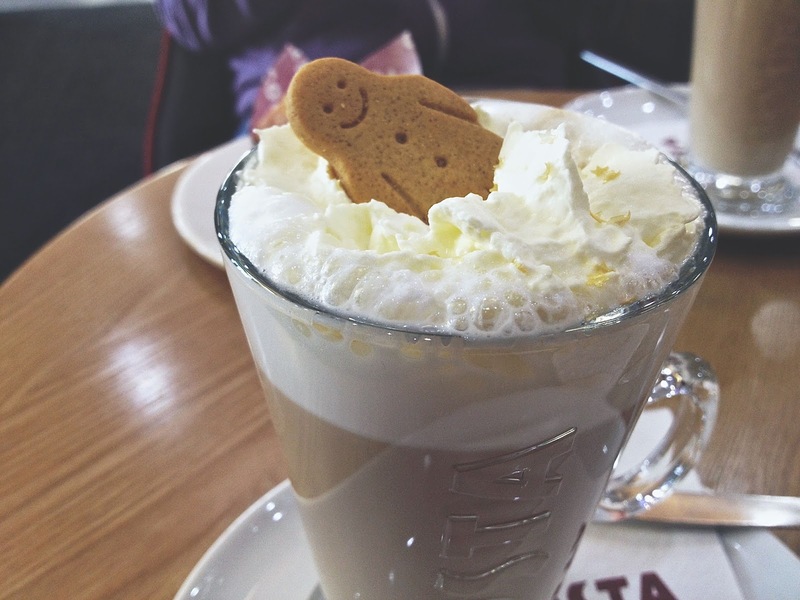 Not only has Costa a number of Christmas inspired drinks, they have a number of seasonal treats too. Everything from mince pies to gingerbread muffins. There's not enough time to try all of them. 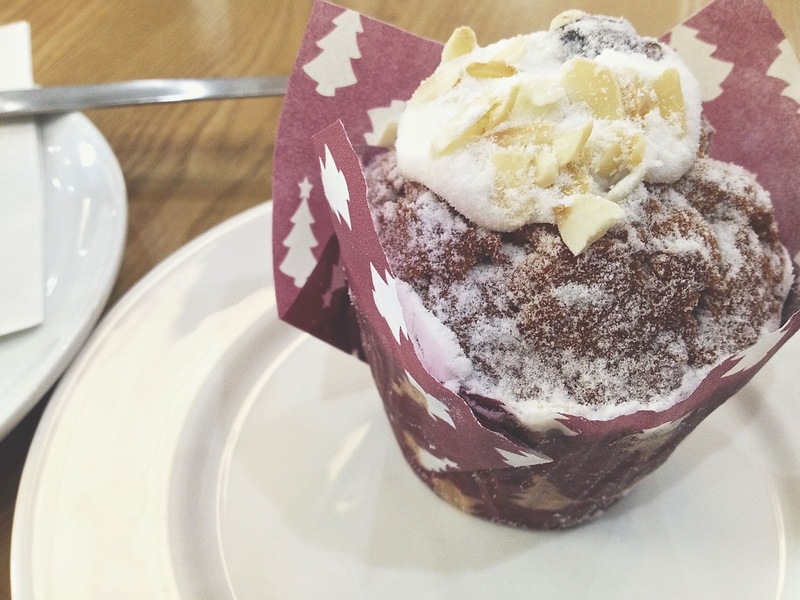 I tried the almond and cherry muffin at the weekend and ohmygod, it was heavenly. I love almonds anyway but guys, this muffin was out of this world good. Thinking about it is having me crave another. The take out cups are the cutest things ever. Beats Starbucks hands down. We actually ordered ours to go just so we could get one. Pathetic, I know. Depending on what size you get, they all seem to be different. The one above is a medium (gingerbread latte). 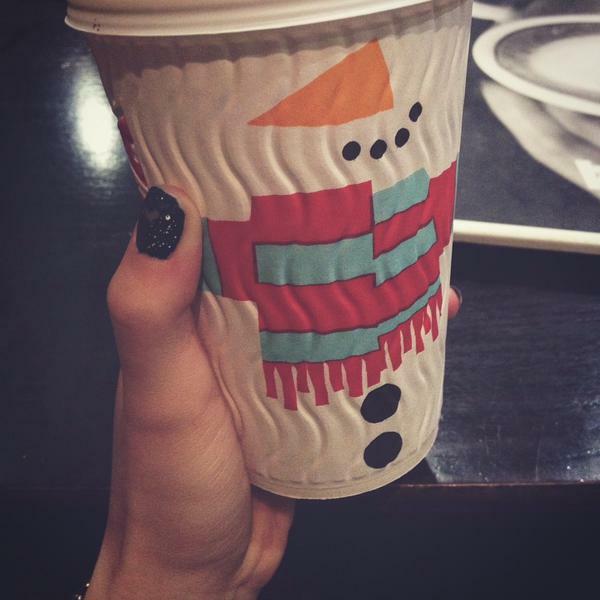 Behind the 'Black Forest' hot chocolate, the gingerbread latte is my favourite seasonal drink. If you're dairy free, they even make it with soy milk. Gotta skip out on the cream tho cause I don't think they do a dairy free cream. With only a few weeks left until Christmas, I'm going to have to speed through the Christmas menu. Not like it's going to be hard right? Drink and cake look really yummy, making me hungry just looking at them. Oh dear I'm going to have to try everything! !